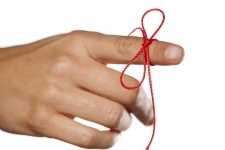 Have you ever tied a knot around your finger to remember something? Why? Why does it work? 2) It is something on your finger. When you see it, it will "remind you" that there is something you need to remember. However, this does not explain the knot. Why not a sticker on your finger or some other "out of the ordinary thing"? To answer this, we can look into this week's Torah portion. Moshe asks G-d to show him His glory. Moshe is asking G-d not to show him something physical, but the essence of G-d and what makes G-d who He is. G-d responded: “You will see My back; however My face will not be seen” (33:23). Rashi explains that Hashem showed Moshe “kesher shel tefillin” — the knot of the tefillin shel rosh, the head Tefillin. Moshe asked Hashem to show him His glory and he was shown a knot?? G-d was showing Moshe the most he was able to see of G-d's essence. In essence I can be explained as a knot. Similar to a rope that connects two objects at each end. If the rope is severed, they are no longer connected. However, if one ties a knot in the rope, you not only reconnect the two pieces, but the rope at the location of the knot is "double as thick" then where there is no knot. When someone does something that is a contradiction to G-d’s will, it is because they do not remember that they are connected to G-d and that G-d does not want them to do it. So G-d tells Moses - you want to know my glory? It is the connection that exists when I reconnect with my people in a stronger bond after they sin. This is one of the reasons why we have a knot in the tefillin and in the tallit strings. When we see the knots, it reminds us that although we may have had breaks in our relationship with G-d, we can reconnect and tie a knot so that we have a stronger bond then we had before. This may also be the reason why people tie knots around their finger; the stronger bond represented in the knot "ties them" to the errand. 3) because it is tradition. When we serve because we are in awe of this awesome G-d, we follow what G-d wants and it is irrelevant which specific mitzvah we are following. We are doing what G-d wants us to do. When one serves G-d with a loving relationship, each detail is important as each is an expression of love; the right type of flowers on the right day or taking out the trash, each is its own unique expression of love. One can say that the one who is in awe of G-d has their back facing to G-d, they cannot look directly at G-d while the one who is in love with G-d, has a face to face relationship. This is one of the explanations why the 12 stones on the High Priest’s (Kohen Gadol) breastplate were each unique stones with the name of one tribe engraved on each one, as well as it being worn in the front. The breastplate represents one who has a face to face, loving relationship with G-d so it is frontward facing and each detail is different. The Kohen Gadol also wore an ephod (like a backwards apron) which had two stones on it. Each stone had 6 names of the tribes engraved on it. The ephod represents one who serves G-d from awe – where one does not face G-d and the mitzvot are the expression of this one feeling. The stones in the ephod were the shoham stone, Joseph's name on the breastplate was engraved on a shoham stone as well. This is because serving G-d out of awe is a harder service, one that has less excitement and passion and more of a chance of slipping when the world around us challenges our relationship with G-d. Joseph epitomized this. As viceroy of Egypt, regularly challenged, he was still able to maintain a real relationship with G-d.
Only with the power of Joseph can we be successful in serving G-d from a place of awe. Benefactor, sponsor, supporter, patron and sustainer are all words used to describe someone who is giving money to support an organization. However, these terms are not always accurate. I prefer the word partner, as then it is not something separate from the donor yet an investment in something he or she is part of. We see this ideal in the name of this week's Torah portion, Terumah. The word Terumah - תרומה comes from the word Torem -תורם which means separate (so you can contribute) as well as Tarim - תרים which means lift up. The name of the Torah portion includes its general message. This week, we read about the building of the Mishkan, the tabernacle, as a place where G-d will feel at home. In order to build a home for G-d, the Jewish people needed not only to contribute resources, yet also to be an active part of the building by weaving, melting, etc. to elevate the materials and make them holy. The materials that were used in the creation of that physical home for G-d were uplifted. However, there are many items and parts of the world that have not been uplifted. One of the messages of the parsha to us is: not only should we contribute to making the world holy, by giving stuff towards the causes we support, we need to also be active participants in uplifting the world to be a home for G-d. In short: "Make your presents into G-d's presence". P.S. This week I was forwarded a video (you can watch it here) of a gentleman who was a supporter of Chabad in Princeton. Once, when he was passing by the Lubavitcher Rebbe and told the Rebbe that he is honored and proud to be a supporter, the Rebbe responded: As you know, I am not happy with the term “supporting Lubavitch”. It would be much better if you support yourself by being part of Lubavitch. "Supporting" is generally used for something "else" and you are supporting it, I want you to be part of it. "He is not feeling well" said Sally. "So take him to the doctor" replied Mark. "I can't", said Sally, "who gave the Dr. permission to interfere with G-d's plans? After all, G-d made him ill". This is a conversation many people have either with each other or in their heads. It is G-d's plan, I am not interfering. The Torah teaches us, in this week's Parshah, that a healer is given permission and a responsibility to heal. 1) If someone hurts another, besides for compensatory damages and punitive damages, the assailant "shall give ... and he shall provide for his cure." From here we deduce that a doctor is given permission to heal. 2) From the laws of returning a lost object and preventing one from losing something. Those who have the ability to heal - preventing the ill from "losing life" or "losing health", are given the mitzvah and responsibility to return the soul to its body in its fullness. This is relevant to each and every one of us. As Jews, we have all lost some of the fire, passion and life force that keep us spiritually healthy. Proper observance of Torah and Mitzvot is what will keep the vitality in our spiritual limbs and veins. At the same time, we are all spiritual doctors as we have the healing powers to encourage someone to observe a specific mitzvah, causing healing to that spiritual ailment. Are you passionate about a specific mitzvah? Teach a friend about it! 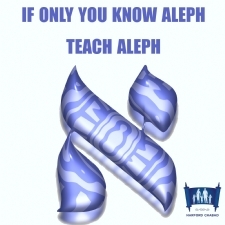 As the Chassidic aphorism: “If only you know aleph (the first letter of the Hebrew alphabet)—teach aleph!" We are 1) allowed to heal, and 2) even if we do not want to, we are obligated to return the "lost vitality" of Jewish practice to those who do not see its value. "If he is not feeling well spiritually, take him to the doctor", even if he does not want to, because he must get better. Wishing all a healing and spiritually uplifting Shabbos.